* The price is expensive. * Only rich people and suitable mansions. All of the above thoughts are true. The first Venetian style mirror hanging on the Java is on the palace wall. This mirror is brought by a stranger who came to be made (talikasih or cendra mata or souvenir for the princess of the king in the land of Java. All that was done to strengthen good relations and cooperation in the field of trade for them. Due to its unique design, many of the nobles participated in order to be delivered when they visited Java. With the length of time the Venetian mirror is much damaged, of course it makes sad for the owner. So the king looked for to find a glass craft supplier to fix. One of the glass men at that time was Mr. Rekan. Original people from Blora and live in solo Central Java. Although with simple equipment finally glass mirror part can be fixed and Venetian mirror can hanged again in the walls of the princess bed room. Apparently with this incident he was finally in the know and receives a Venetian mirror to fix. If they can improve so they can make also, that’s what they think. 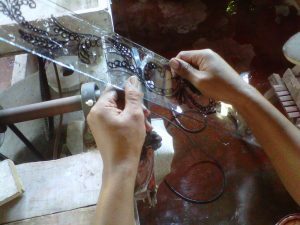 That is one of the reasons if vintage Venetian mirror only exist in Indonesia in the sol. With the development of ideas and youths finally this style mirrors are now much in reproduction in Java. 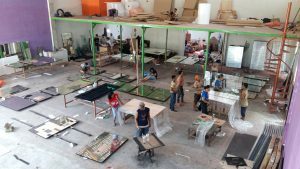 One of Venetian style mirror manufactures Indonesia the biggest in this time is Margo Glass Gallery. Let visit and there are a hundred style mirrors as them made. Venetian style mirror produced by this supplier is: unique and luxurious and of course Elegant. Because, All production produced by this factory is by manual or hand made by experts who have been in the mirror for decades. Surely was no doubt for the quality, beauty of design, and time of manufacture. For that reason Venetian style mirror becomes natural or organic look. The advantage of this company is in addition to not having a minimum order, can also help you though only for consultation planning your Venetian bathroom mirror or bedroom mirror. In order to get the Venetian style mirror quality, we are assisted by trusted checkers to guard our production and delivery. It is only right if we are believed! Who is Margo Glass Gallery? 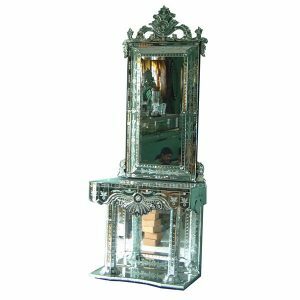 is a Venetian style mirror manufacturer Indonesia and its products are: Vintage venetian mirror, antique mirror, mirrored furniture, beveled glass mirror, Convex Mirror, distressed glass mirror, and other mirror art. To smooth our goods to costumer safely and not broken is the hope for us and customer. Therefore, of course we are also assisted by a forwarder or export shipping services that faithfully help and supervise all shipments to the customer safely. Because choosing the right company for the right now is very important and difficult let alone the era of digital like for now. Please!!! Do not hesitate to contact us if you want more information about price, measure or custom design. 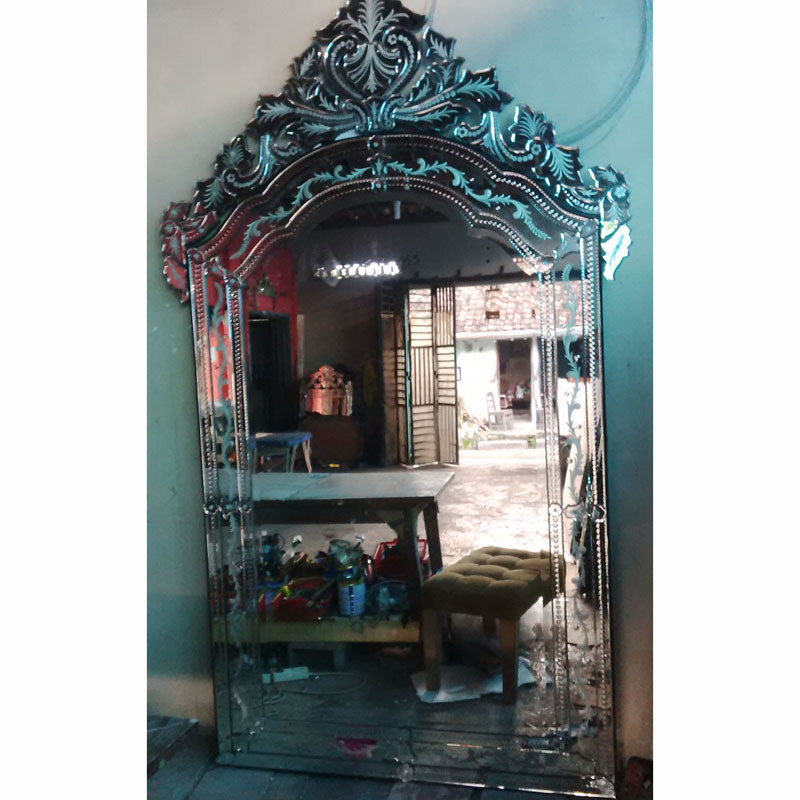 We really appreciate if you would like to contact us and can supply Venetian style mirror especially to your company because can work together for long term is one of our visions. This entry was posted in Articles and tagged Venetian mirror manufacture, Venetian mirror supplier, Venetian mirror wholesale.